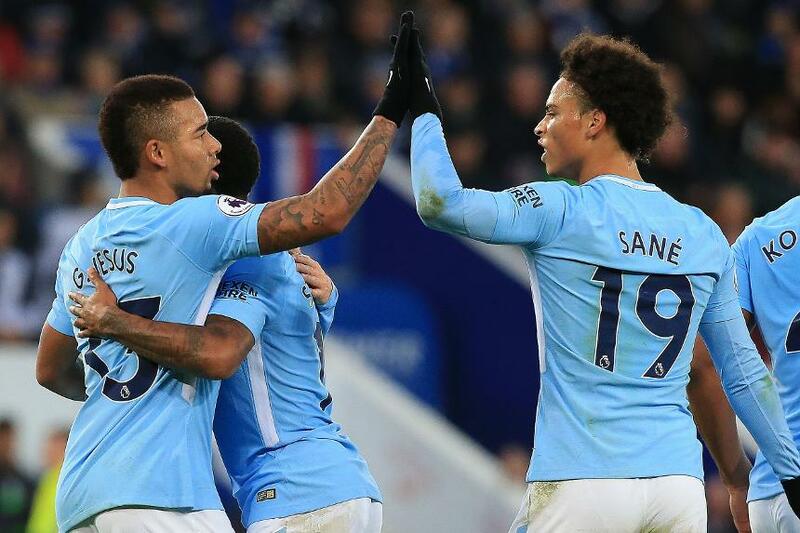 Goals by Gabriel Jesus and Kevin De Bruyne earned Manchester City a 2-0 win at Leicester City. Jesus broke Leicester’s resistance on the stroke of half-time after an intricate move involving Raheem Sterling and David Silva, who teed up the Brazilian with a PL-high eighth assist of the campaign. City went 2-0 up on 49 minutes after launching a counter-attack following a goal-line clearance by Silva from Harry Maguire's shot. Pep Guardiola’s men surged upfield and De Bruyne thrashed a shot past Kasper Schmeichel from range. Man City, nine points clear at the top, also managed 34 points from 12 matches in 2011/12 but are now two goals better off than six seasons ago. The defeat leaves Leicester in 12th.